The use of better emailing clients and servers has gradually become popular amongst the user for better services. Office 365 and Outlook are both brand name of Microsoft, however, due to some reasons situation may ascend which convince the users to export Office 365 mailbox to PST. Situations like making the backup for Office 365 mailboxes, since office 365 doesn’t provide the option to hard backup for the data of user mailbox even though the office guarantee the security of user mailbox data some it firms choose to keep the back of their valuable data with themselves as hard copy. 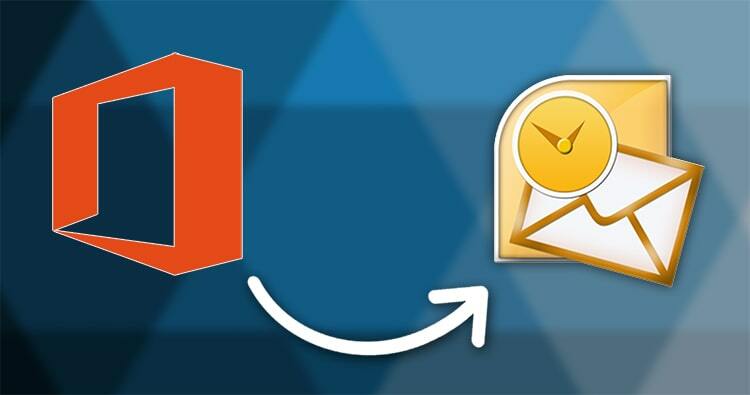 Here in this blog, we will discuss the need to export Office 365 mailbox to PST and manual methods as well as third party tool to achieve this task which helps you to make the task easy and hassle-free. 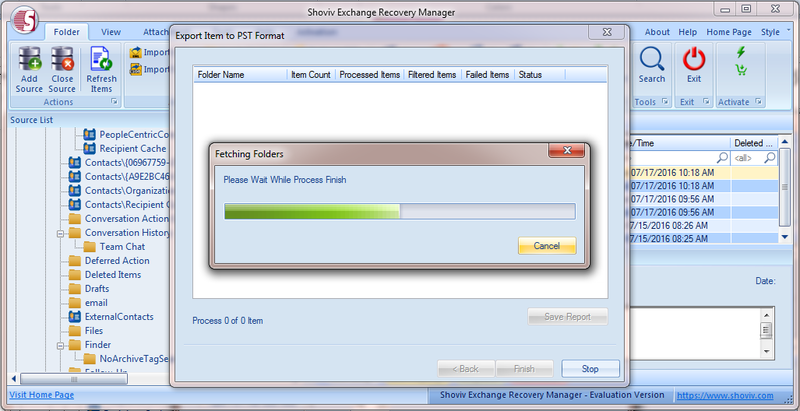 The most important step of Shoviv Exchange Server Migration Tool to perform Office 365 to PST conversion. As we are aware of this fact that Office 365 is the brand name used by Microsoft which includes Microsoft Office and other services, such as email and collaboration, from Microsoft’s cloud server. The Office 365 comprises a wide variety of features such as OneNote, Publisher, Skype for Business, Access, etc. which has made it popular within a short span of time. On the other hand, Outlook is an e-mail client which comes as a part of Microsoft office suite, often used for the purpose of emailing, maintaining a calendar, contact, taking note, journal, etc. 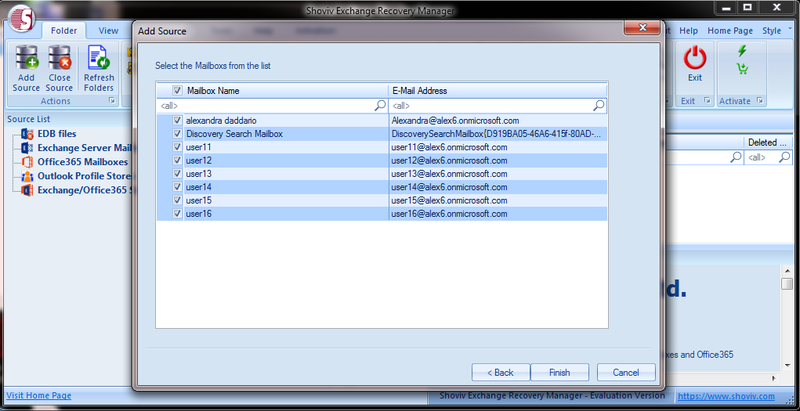 Outlook stores information’s and data in two different file formats known as OST and PST. 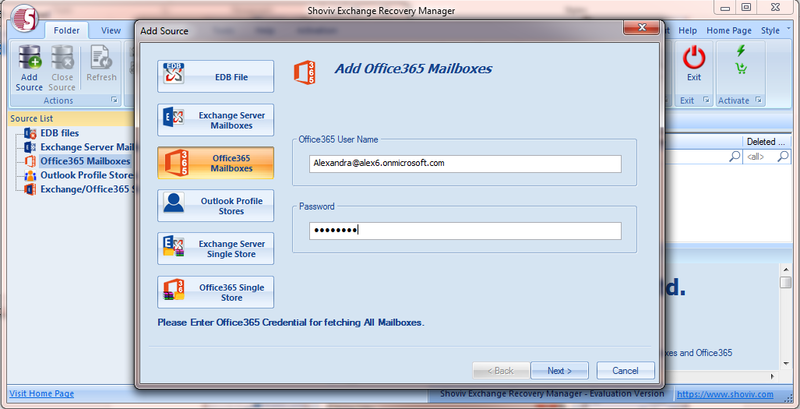 Since the office 365 doesn’t provide any built-in option to export the Office 365 mailbox to PST file, the user goes to find the DIY option for accomplishing the same task. Archive Office 365 mailbox in Local disk: By converting Office 365 in PST file, the user can save office archive mailbox to local disk and accordingly work as a preference. 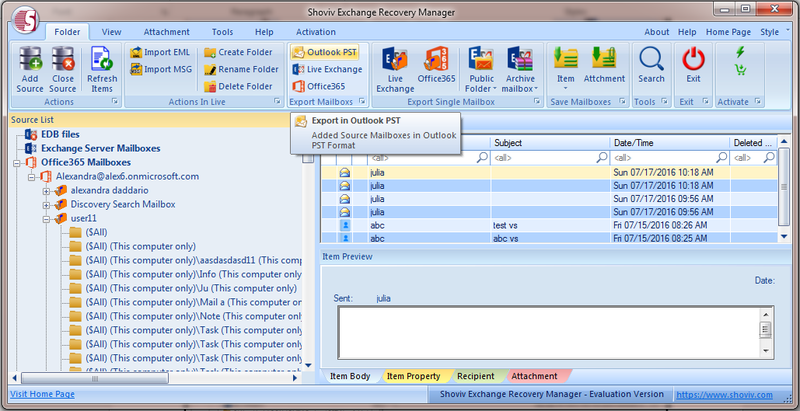 Reduce the size of Office 365 mailbox: By export Office 365 to PST the user can reduce the size of the Office 365 by keeping back up of Office 365 mailbox in PST file format. In order to export office 365 mailbox to PST successful, there are two options, one is the manual method and other is with the help of software tool which will assist you to effectively export Office 365 to PST. 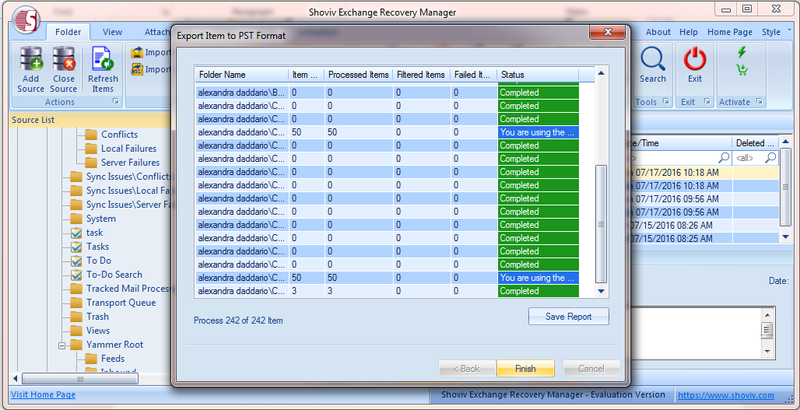 Those who find the above process techie can go with the third-party solution like, Shoviv Exchange Recovery Manager which is very proficient and easy while it comes to convert Office 365 into PST files. The software comes with wide variety of features which allows exporting Office 365 mailbox to PST file as well as other file formats such as eml, msg html, and the user does not require any technical expertise while performing these conversions such as Office 365 to PST or msg, eml. 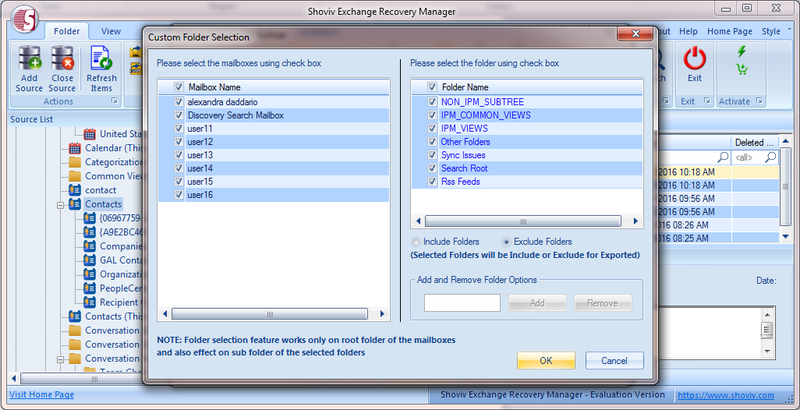 Convert Office 365 mailbox to PST files using Shoviv Exchange Recovery Manager. After clicking on the “next” button, the target selection page will be opened in which the user needs to select “export on existing PST” or “export and create new PST files” option. “Export on existing PST” option will only be shown when only one mailbox is selected for export. The user needs to select the PST split option if required. Then click “next”. And finally, after clicking on “Next” button the conversion process will start to convert the selected Office 365 into PST. The status page will continuously provide you with the information about which mailbox and which folder is being processed and how many email items are there in the folder and how may has already been processed. 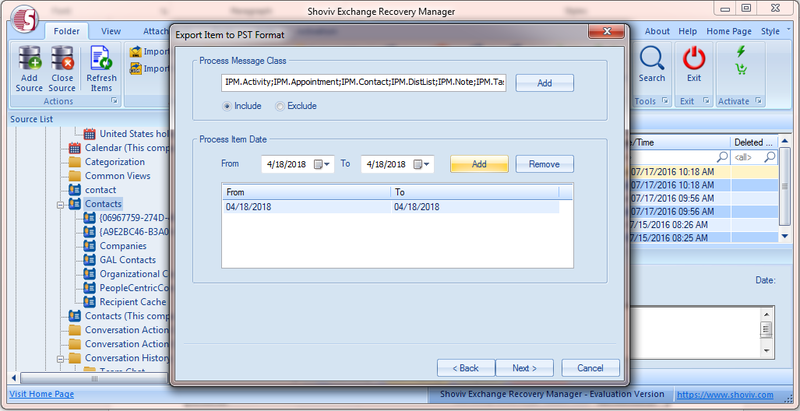 Please be patient while the export Office 365 mailbox to PST process gets completed, once the process is completed you can save the report of the process in HTML format for record purpose by click “Save Report” button. 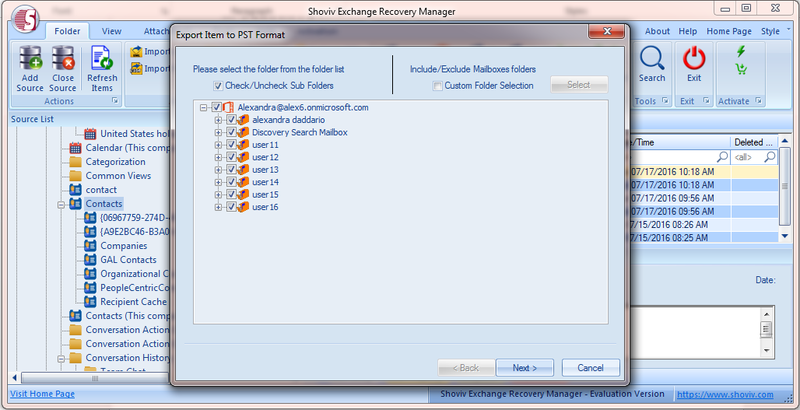 Hence, we would like to conclude that there is a need amongst the users to convert Office 365 mailbox into PST file format, thus for the effortless conversion of Office 365 to PST file we would recommend users to go for third-party software such as Shoviv Exchange Recovery Manager which proficient to manage such tasks and provide satisfactory results with no interruption.